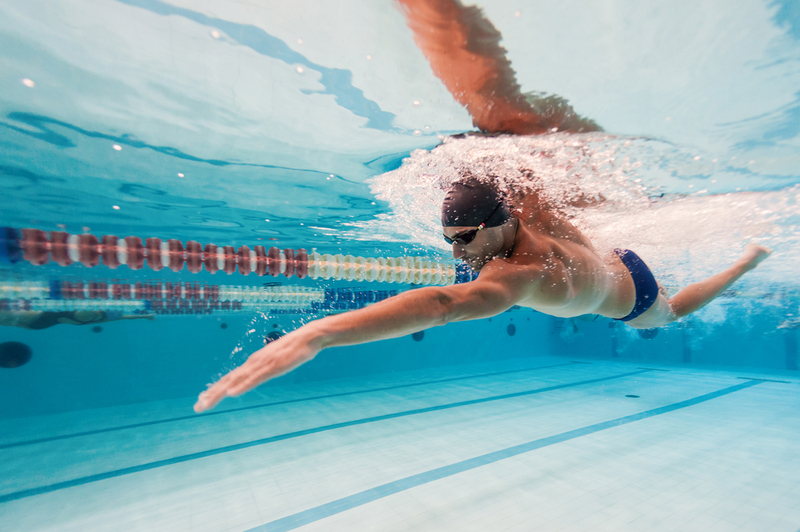 Whether you’re a competitive swimmer, triathlete, or swim just for fun/fitness, if you’ve spent any significant amount of time in the pool you’ve likely experienced at least one episode of shoulder pain. As a swammer (that’s a former swimmer for those of you who are new to swimming lingo), I experienced my first episode of shoulder pain at age 10 and had shoulder surgery when I was 13. When I look back on this experience, through the eyes of a physical therapist, I truly believe that the surgery could have been prevented if I had received a comprehensive analysis of my movement mechanics rather than everyone simply focusing on my shoulder muscles and joint. I have taken that realization, applied it to the swimmers that I treat, and have noticed a few trends in these patients. Shoulder pain while swimming freestyle may be due to weakness in the gluteal muscles. Hypermobility in the shoulder joint can lead to nerve dysfunction and create shoulder/arm/hand pain. The amazing thing about our body is that it is going to find a way to move the way our brain tells it to move. The problem is that sometimes our bodies don’t have the ability to move the proper way, so the brain finds a way to work around it in order to get us from point A to point B. This is how we end up with odd movement patterns and sometimes pain. In the case of my swimmers with weak gluts, this is why their shoulder hurts. When they extend their hip against resistance (think flutter kick), the muscles in their opposite shoulder work over time to help them get the power they need to swim fast. Over time, this leads to shoulder pain… our shoulders were not made to be our gluts! In swimmers with numbness or tingling into their shoulder, arm, or hand, their shoulder may be moving too much (hypermobile) and there isn’t enough inherent stability in the joint to keep it stable while moving through their stroke. Because of all of this excessive movement, sometimes the nerves in the arm become compromised. In swimmers with shoulder instability, I often see restrictions in the thoracic spine. These restrictions have lead to compensations at the shoulder joint to force themselves into positions that their back just won’t allow them to achieve. While the scenarios above are not the only causes of shoulder pain in swimmers, these are interesting trends that I’ve noticed and I wish that someone had evaluated in me before I had surgery. If you’re currently experiencing shoulder pain, the best thing you can do is seek out treatment early. The longer you wait, regardless of how mild the pain is, the more likely you are to start developing poor movement patterns that are difficult to retrain once established. Avoid seeking treatment advice from Dr. Google and find a physical therapist near you to have your questions or concerns answered.